Discover what compression is so you can avoid confusion while trying to apply it. Learn how compression plug-ins work so you can begin to get high quality results in your mixes today. 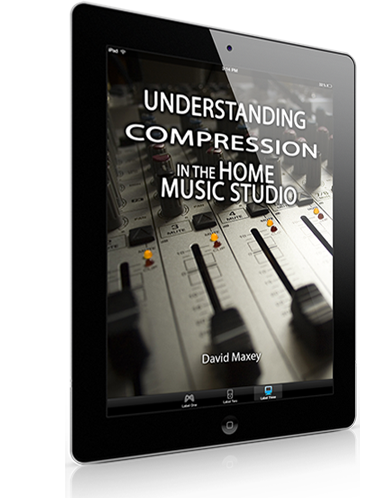 Get started using compression in your home music studio recordings now with several starter presets included. “Excellent, clear explanation of what is going on - it has really opened a door that I have been battling to go through for more than a year now. ... Now I have the confidence to start experimenting and I feel at long last there is some light at the end of the tunnel as far as compression is concerned..."
"Whats up man looking forward to see more helpful stuff, your compression e book helped me out in a great way, so I can understand compression better, not just tweakin knobs around…"
Copyright © 2012-2017 · Home Music Studio 1, All rights reserved.